a proactive approach to life saving strategies on the road. 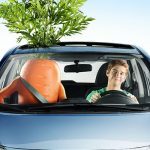 Calgary, Alberta and Kitchener, Ontario – November 2, 2016 – InsureMy Ltd., a Calgary-based insurance brokerage, today announced a partnership with Trak Global Group, the UK based telematics provider, behind the multi award-winning Carrot Insurance brand. Working together, these two innovators are making good on InsureMy’s promise to empower their customers and improve road safety for all drivers. As the exclusive Canadian distributor of Carrot’s New Driver program, drivers will benefit from the experience of telematics insurance markets across the globe that have seen a significant reduction in collision statistics. Carrot in particular has been recognized for its ability to reduce road traffic collisions amongst its newly qualified policyholders by 42%, as a result of high levels of user engagement and ongoing coaching via its feedback app. Carrot was the 2015 recipient of the prestigious Prince Michael International Road Safety Award. Vision Zero – We’re not waiting. Canadian cities such as Edmonton are joining the international crusade to achieve Vision Zero; an effort to eliminate road fatalities through a program modeled after a Swedish initiative that saw driving deaths decrease by 50% through improved infrastructure, traffic control, and education. While not quite zero this is certainly a smart move with a significant shift in the right direction. “The data is telling us how effective telematics enhanced driver coaching is when it comes to teaching new drivers good habits, and that can’t be ignored,” stated Hugh McTavish, President of InsureMy Ltd. “it may take some time for infrastructure and policy to catch up, but we’re not waiting. This partnership enables InsureMy to lead the way and start giving life to the Vision Zero movement with every new driver we put on the road.” McTavish concluded. Connected insurance solutions for a connected world. Adding to the already robust line of telematics-based insurance products that make InsureMy a standout brokerage in the marketplace, this new alliance will open the door to new, proven products that serve to attend to the organization’s promise to look beyond the conventional and leverage technologies that work smarter for its customers. Pending regulatory approval, New Driver, an app-based rewards program modeled on Carrot’s approach in the UK, is just one of those products; a natural evolution of the New Driver Intelligence program launched by InsureMy earlier this year focusing on young drivers. Through the exclusive licensing agreement, InsureMy is entitled to distribute products from the Carrot brand to maximize distribution points throughout Canada. InsureMy is a full service insurance brokerage, emerging as a market leader in the management and delivery of telematics based insurance products. Empowering customers to manage costs, regulate driving performance, and minimize their environmental impact by leveraging technological advances in the collection and practical application of telematics data. For information please visit, http://www.insuremy.ca. Trak Global Group has been creating results-driven telematics solutions for the insurance, rental, fleet, and automotive industries since 2009. The group is a multi-disciplinary collaboration of experts, who blend intelligence, insight, and inspiration to create revolutionary outcomes. For more information, visit http://www.trakglobalgroup.com. Gord Mansfield, Director, National Sales, InsureMy Ltd.